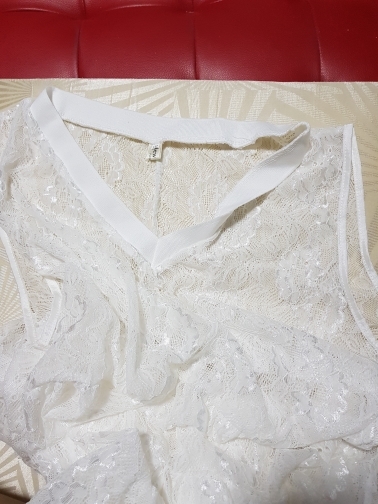 lace top received. the top is without lining, Need to wear tank top inside. but the lace is soft. but it a bit long, Need to wear high heel.